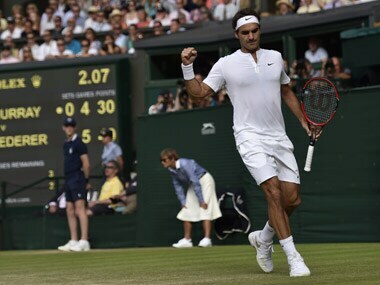 Roger Federer can win a record eighth Wimbledon title and become the oldest champion of the modern era Sunday if he can find a way past world number one Novak Djokovic. In finals at the majors they are 1-1 with Djokovic's Wimbledon triumph of 12 months ago following Federer's straight sets victory in the 2007 US Open. "But especially now the last few years, he's been unbelievably dominant, especially on the hard courts, then he improved on the grass. On the clay, he's one of the best, if not the best. "He's become very match‑tough. He always shows up. It's tough to beat him. He's been good for the game." The pair have already met three times in 2015 -- Djokovic winning the finals at Indian Wells and Rome after Federer had come out on top in the Dubai final. 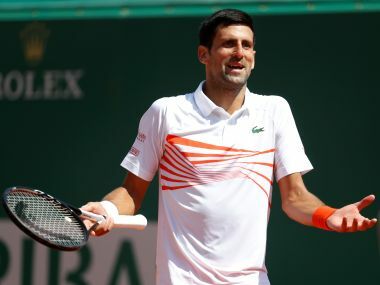 That loss in the UAE was just one of three for Djokovic all year with the third coming at the worst possible time at the hands of an inspired Stan Wawrinka in the French Open final, the only Slam still to elude him. 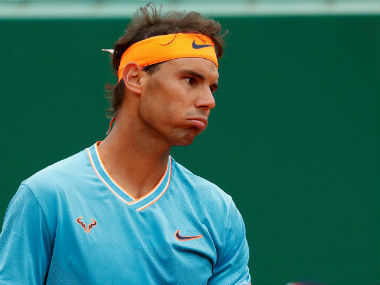 But now he has to figure out Djokovic, who has yet to hit top gear at Wimbledon despite having made his fourth final. 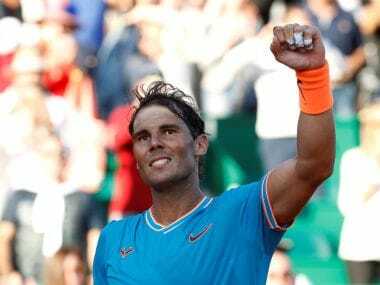 He had to come back from two sets down to beat Kevin Anderson in the fourth round and he was struggling to match Richard Gasquet's laser-accurate, one-handed backhand in the first set of his semi-final before he raced to a 7-6 (7/2), 6-4, 6-4 victory. Djokovic, chasing his ninth Grand Slam title in his 17th final, boasts impressive numbers this year. 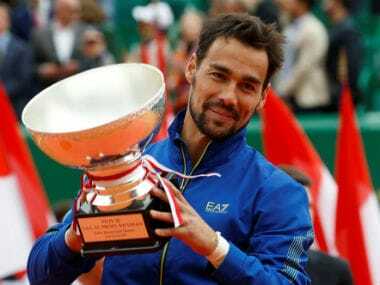 He is 47-3, collecting a fifth Australian Open as well as Masters titles at Indian Wells, Miami, Monte Carlo and Rome. He also has an admirable record of consistency at the highest level having made at least the semi-finals 19 times at the last 20 Grand Slams. Victory on Sunday for the 28-year-old would have an interesting symmetry -- it was 30 years ago that coach Boris Becker won his first Wimbledon title as a 17-year-old. "Boris goes through the emotions with me like when he was playing," said 2011 and 2014 champion Djokovic who can match Becker's record of three trophies should he beat Federer. "There are times when he doesn't sleep well before the big match." Djokovic said last year's win over Federer also helped put his career back on track after he had gone five majors without adding to his tally which stood at six at the time. "To win that match in five sets against Roger on grass was definitely something that gave me a lot of confidence," he said. "Then a few days after that, I got married. I then became a father as well, entered a new dimension of joy and happiness and love. I'm trying to stay on that wave as much as I can and hopefully I can do well on Sunday."